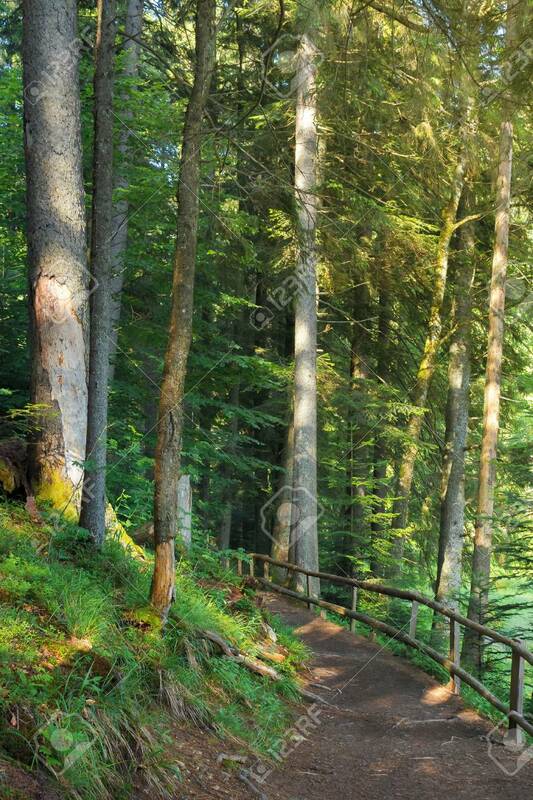 Path Through Coniferous Forest In Dappled Light. Wooden Fence... Stock Photo, Picture And Royalty Free Image. Image 117160144.